Napoli have allowed out-of-favour duo Roberto Inglese and Alberto Grassi to join Parma on loan for the forthcoming Serie A season. The 2018-19 campaign will be Parma's first back in the top flight since 2014-15, when they finished bottom and were subsequently forced to reform in Serie D after going bankrupt. Parma have signed a host of new players in pre-season, with Napoli proving a regular source of support, having already brought in Luigi Sepe, Amato Ciciretti and Jacopo Dezi on temporary deals from the San Paolo club. And now Inglese and Grassi follow on the road well-travelled, providing reinforcements in attack and midfield respectively. Benvenuti Alberto #Grassi e Roberto #Inglese! 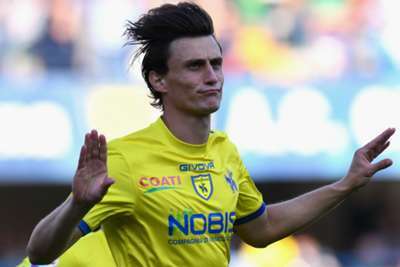 Inglese netted 11 goals on loan at Chievo last season and will likely shoulder much of the scoring burden at Parma in the first half of the season given Emanuele Calaio's five-month ban for sending "suspicious" messages to opposing players last season. Grassi, 23, featured for SPAL last term as the club suffered relegation back to Serie B.